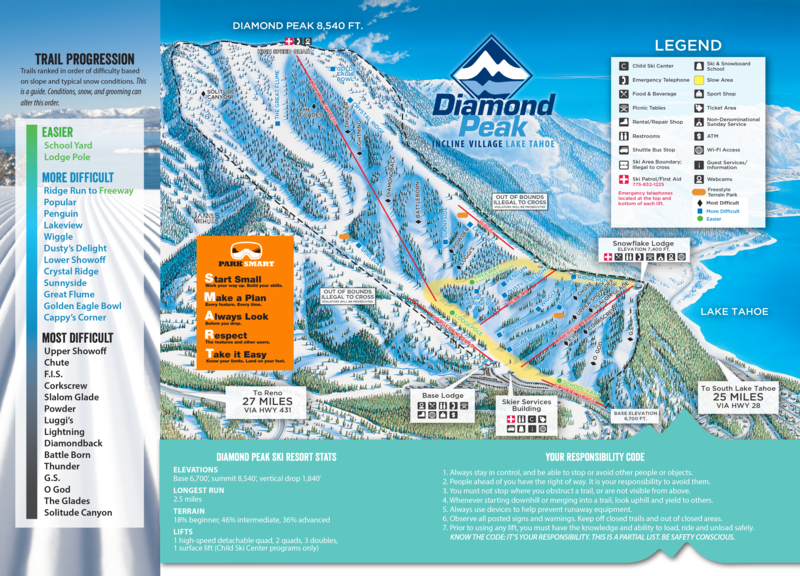 Heavenly Mountain Ski resort boasts 4,800 acres (1,942 hectares) of skiable terrain and the most breathtaking views of Lake Tahoe. With 34 miles of diverse tree lines and wide-open groomed cruisers, two canyon areas with challenging chutes and one true alpine bowl, this ski resort is so massive it spreads across California and Nevada. Heavenly isn’t just a winter destination. With the addition of a ropes course, zip line, and a very popular mountainside bobsled roller coaster, Heavenly is great to visit in the Summer as well! Ever wanted to live or have a vacation home near Heavenly? For a true “ski-in/ski-out experience, there are condos on the Nevada side near the Heavenly Stagecoach lodge in the Tahoe Summit neighborhood that is right next to the slopes or within walking distance. On the California side, there is the Heavenly Valley neighborhood which is located at the base of the Heavenly California Lodge. This neighborhood is made up primarily of homes but also has a few condo complexes. It also has a very unique area called Tahoe Tyrol that looks like a Scandinavian Village. Sierra-at-Tahoe or often just shortened to “Sierra” by the locals is a ski and snowboard resort in the south of Lake Tahoe. Approximately 16 miles (26 km) south of Stateline, Nevada and 12 miles south of South Lake Tahoe on US Route 50 contained within the El Dorado National Forest. 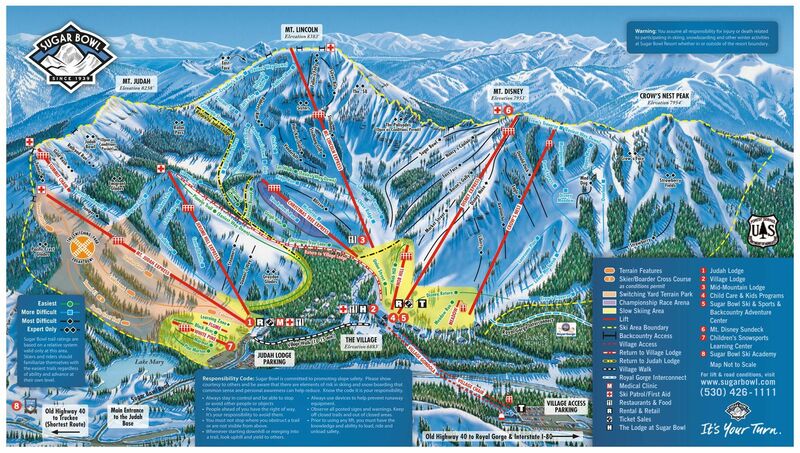 Locals know Sierra for being a family oriented medium sized resort with 809 hectares of skiable terrain and over 40 trails. Since it is situated in the mountains and surrounded by tall peaks, it is protected from the wind. This means Sierra can stay open when most of the other resorts in Tahoe go on “wind hold”. Sierra is located just outside the Tahoe Basin in an area surrounded by Forest Service Cabins that are usually only accessible in the summer months, with a few year-round homes spread throughout the area. However, it is only a 10-minute drive from the Meyers area of South Lake Tahoe. The Meyers area also has its own grocery store and a handful of restaurants and bars that are locals favorites. 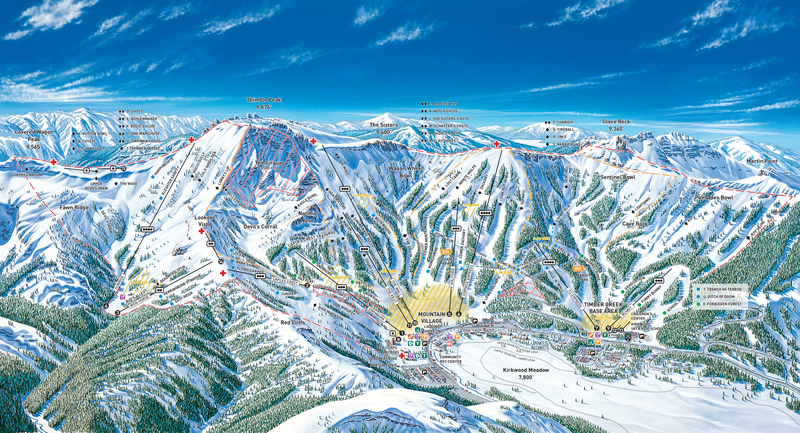 Located 34 miles south of Lake Tahoe, Kirkwood is a year-round resort. 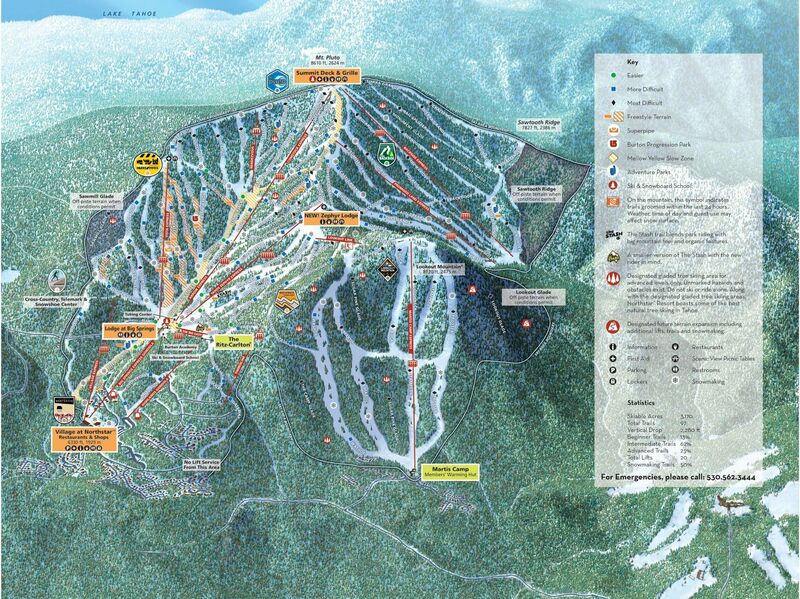 It offers skiing and snowboarding in the winter, and hiking and mountain biking in the summer. Well known for the highest average snowfalls and a broad selection of advanced skiing terrain including cliff drops and cornices. Mt. 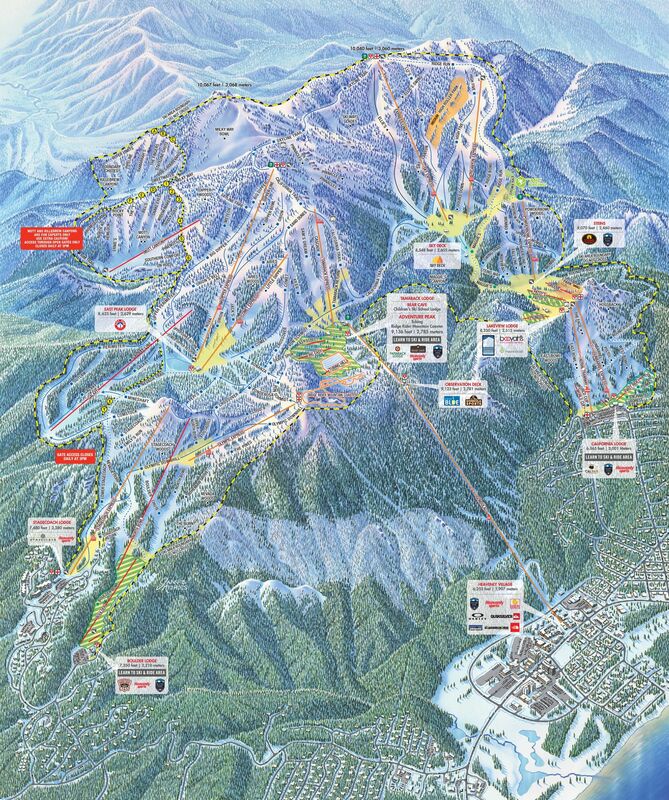 Rose Ski Resort is the closest ski resort to Reno, Nevada. Mt. Rose, located just 25 miles away from the downtown Reno and 11 miles northeast of Incline Village. 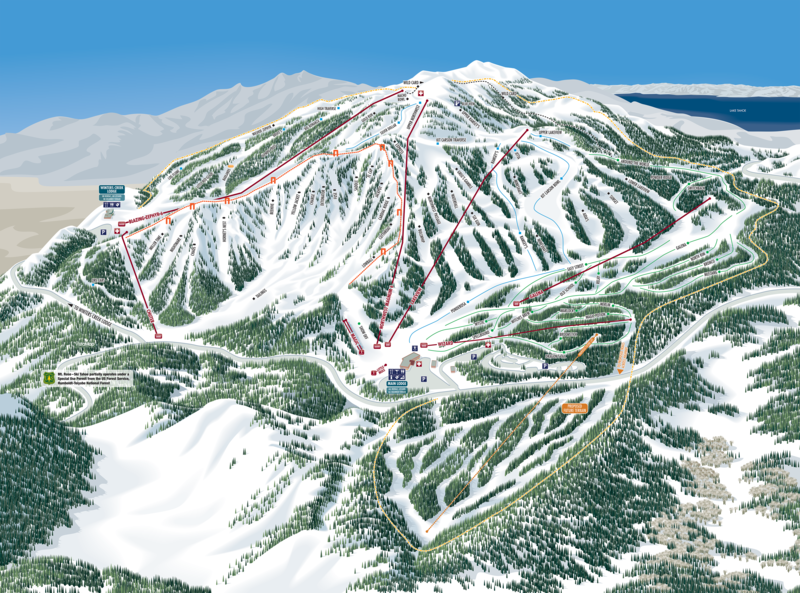 Mount Rose boasts the highest base and top elevation, which in return contributes to better quality of snow although not always a lot of deep powder. 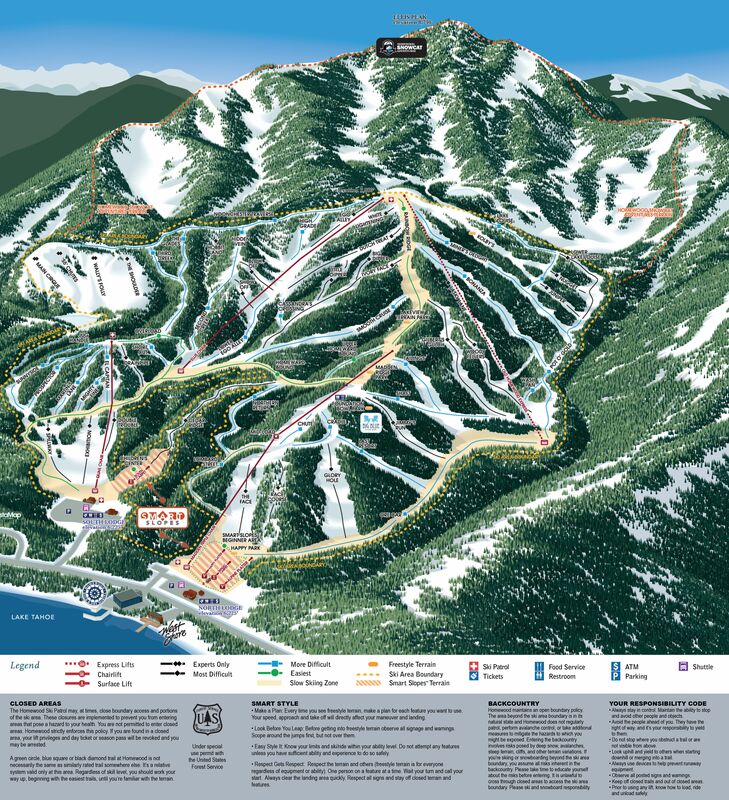 Being the closest resort to Reno, NV the slopes tend to fill up on the weekends very fast. Your best bet if you want to avoid the crowds is to go up mid-week. The closest neighborhood to Mt. Rose is Incline Village on the North Shore of Lake Tahoe. Incline Village boasts some of the best beaches at the Lake, and a mix of high-end housing along with old style Tahoe cabins and condos. This former lumber site owns a 3,170 acre of land turned to be one of the best destinations resorts in the US. It is just 7 miles north of Lake Tahoe and 7 miles south of the town of Truckee. 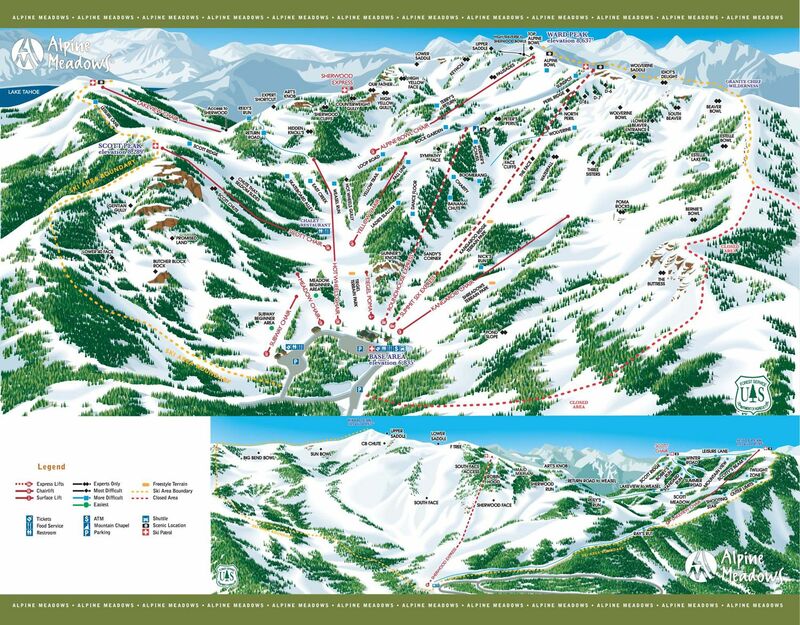 The Northstar ski resort with its sizeable 1,283 hectares of land and vertical drop of 2,280 feet is completely easy to navigate with minimal traversing compared to the other Tahoe ski resorts. It is beautifully combined with a fair amount of sunny days and an abundance of snowfall. Northwest of Tahoe City along the California State Highway 89 on the banks of the Truckee River near Lake Tahoe is one of the biggest ski areas in the United States. With an impressive 3,600 acre of land spreading over multiple peaks, the resort offers a vast terrain that seems to be endless. After hosting the entire 1960 Winter Olympics, Squaw Valley nailed its notoriety through the films of Warren Miller, wherein he conveyed the many skirmishes of daredevils jumping off cliffs in the early 80s. One doesn’t have to be a pro-skier to enjoy the Squaw Valley Ski Resort terrain, albeit, the place is home for the extreme skiers. Those that don’t share the same rush also has the option to a more “tamed” terrain. The resort also homes for many annual summer events. The resort attracts different characters from musicians to accomplished writers. They also offer a wide array of concerts, beer and wine events including various artists. The base area of Squaw offers a few ski-in/ski-out condos. The closest town is Tahoe City, which is located on the Lake and has kept its quaint mountain town feel throughout the years. Truckee is also just a short 15 miles from Squaw Valley and is located just outside the Lake Tahoe Basin. 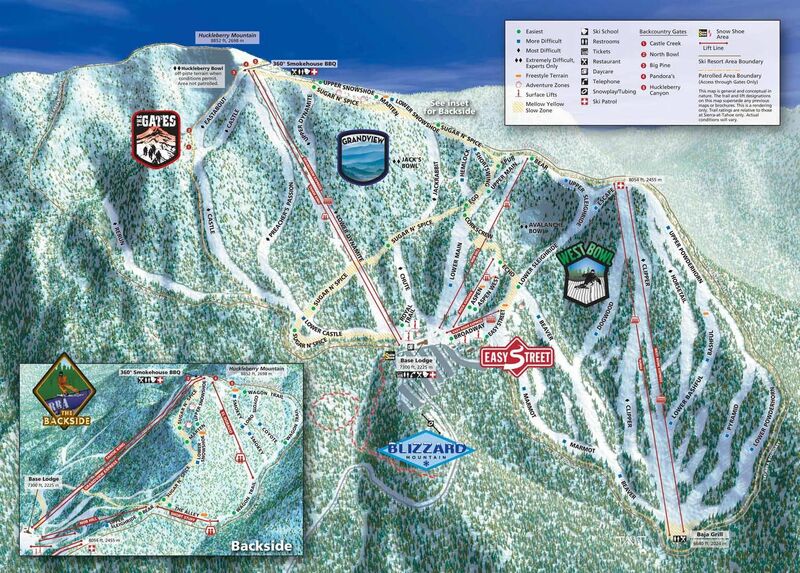 Alpine Meadows is located on the west shore of Lake Tahoe next door to the famous Squaw Valley Resort. This resort is ideal for skiers who want it straightforward and no glitz. It doesn’t offer a lot of amenities, few dining options, a minimal ski school and rental shop. Stationed along the Donner Pass and 10 miles west of the town of Truckee and 24 miles northeast of Lake Tahoe, Sugar Bowl is one of the oldest ski resorts on the west coast. It is the closest resort to Sacramento, CA and is very popular as a day trip destination. Homewood is located west of the Lakeshore and possesses some of the best views of the entire Lake Tahoe region. 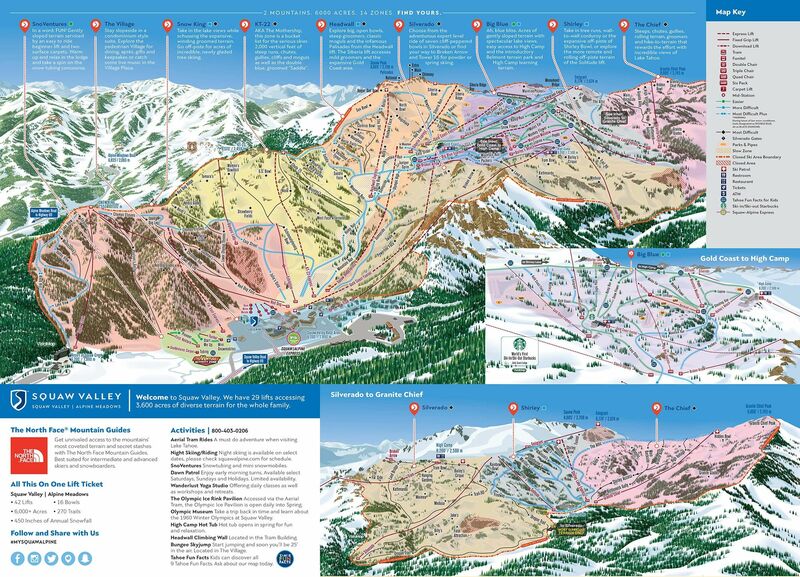 It is almost an anti-resort compared to the extravagant resorts like Squaw and Northstar. Homewood is canon for how skiing used to be. Next post What’s going on with Vacation Rentals in South Lake Tahoe?